On the blog this week I’m trying something new–In honor of the beginning of the summer, all my posts this week will be dedicated to summer in some way (whether that be hair, makeup, food etc). The first up in the series is my first original cocktail recipe (I’m really excited about this one you guys)! This recipe features a very special wine from the McBride sisters. 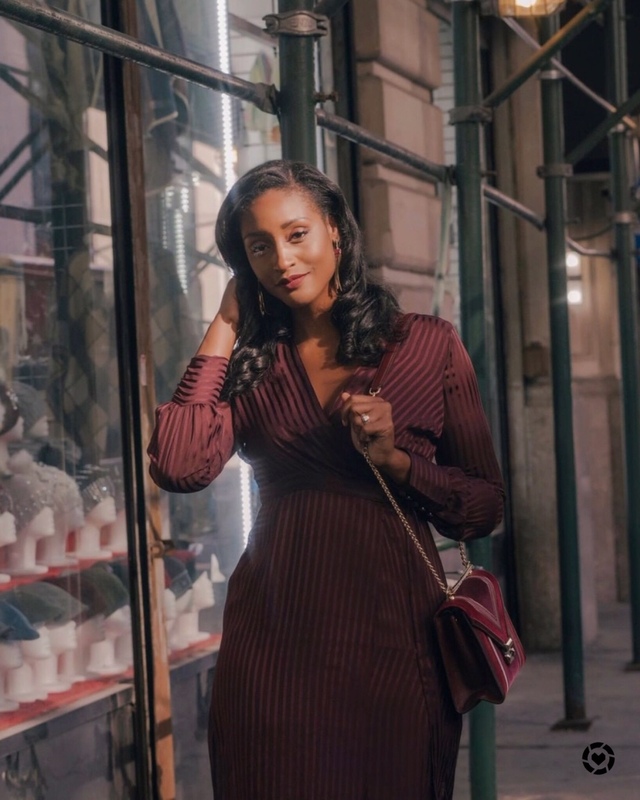 Every now and then you fall in love with a brand not just because of the product itself but also because of their story. 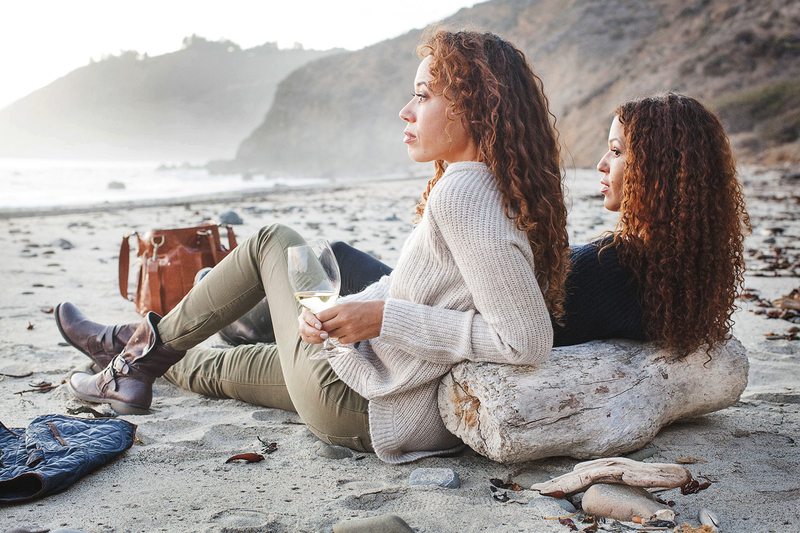 The McBride sisters grew up continents apart and found each other and through their connection of wine created a brand that brought their two passions together for a lifelong connection. After about ten years of experience in the wine industry they have partnered with Diageo & Estate Wines to create “Truvee Wines”. I was lucky enough to get the opportunity to try the Truvée Chardonnay. Commonly nicknamed the “winemakers wine,” Chardonnay is a wonderful challenge: the oak and winemaking techniques greatly influence the final taste. With our Truvée Chardonnay, we have created a wine that showcases the beautiful fruit flavors that develop in the vineyards, supported by a touch of French oak and with minimal intervention from Monica, our winemaker. This Central Coast Chardonnay is elegant and vivacious. The fruit was sustainably grown in Chalone, Edna Valley and Monterey County with flavors that span white peach, pear, citrus zest, green apple, pineapple, vanilla, oak and with delicate notes of white florals. A portion of the wine was put into new and neutral French oak barrels, while the balance was fermented in stainless steel tanks. 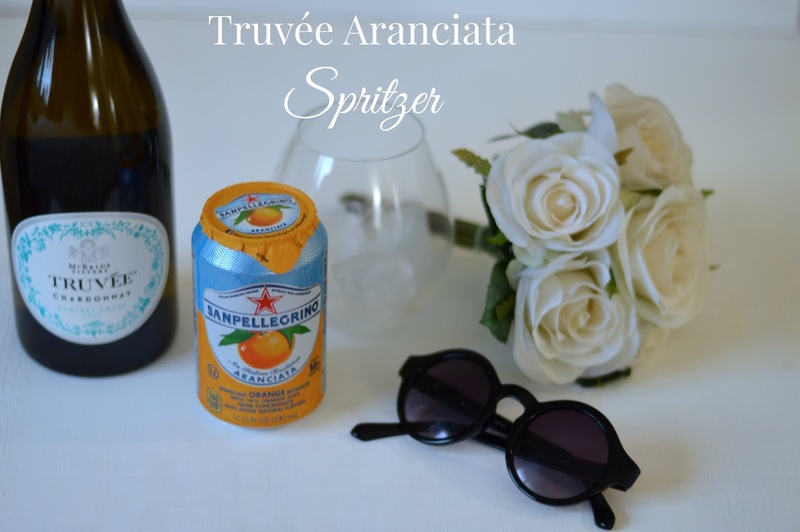 To create this original spritzer, I combined the Truvée Chardonnay & a summer favorite of mine San Pellegrino’s sparkling beverage Aranciata. The blend was a match made in heaven and is the perfect cocktail during the hot summer months. It’s refreshing, light and most of all super tasty! Combine ingredients giving everything a quick stir & pour over ice. Have you tried Truvée wines before? What did you think? Let me know below!